How Venture Capital Works for Start-Ups and Small Businesses? With almost unlimited opportunities the advancement in technology is creating over the past two decades, many startups and small businesses today tend to seek for capital that could bring their dream business to success says Carl Kruse. While there is a wide range of financial sources that they can tap on, most of these entrepreneurs are hesitant in borrowing money from banks and financial lenders because of the risks involve. But good thing is that they've found a good alternative and that is by raising venture capital from the venture capitalists or VCs. Venture capital is that amount of money that VCs will invest in exchange of ownership in a company which includes a stake in equity and exclusive rights in running the business. Putting it in another way, venture capital is that funding offered by venture capital firms to companies with high potential for growth. Venture capitalists are those investors who have the capacity and interest to finance certain types of business. Venture capital firms, on the other hand, are registered financial institutions with expertise in raising money from wealthy individuals, companies and private investors - the venture capitalists. 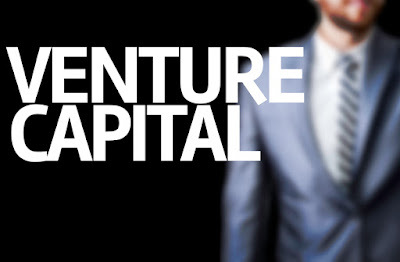 VC firm, therefore, is the mediator between venture capitalists and capital seekers. Because VCs are selective investors, venture capital is not for all businesses. Similar to the filing of bank loan or asking for a line of credit, you need to show proofs that your business has high potential for growth, particularly during the first three years of operation. VCs will ask for your business plan and they will scrutinize your financial projections. To qualify on the first round of funding (or seed round), you have to ensure that you have that business plan well-written and that your management team is fully ready for that business pitch. Because VCs are the more experienced entrepreneurs, they want to ensure that they can get better Return on Investment (ROI) as well as a fair share in the company's equity. The mere fact that venture capitalism is a high-risk-high-return investment, intelligent investing has always been the standard model of trade. A formal negotiation between the fund seekers and the venture capital firm sets everything in their proper order. It starts with pre-money valuation of the company seeking for capital. After this, VC firm would then decide on how much venture capital are they going to put in. Both parties must also agree on the share of equity each is going to receive. In most cases, VCs get a percentage of equity ranging from 10% to 50%. The funding lifecycle usually takes 3 to 7 years and could involve 3 to 4 rounds of funding. From startup and growth, to expansion and public listing, venture capitalists are there to assist the company. VCs can harvest the returns on their investments typically after 3 years and eventually earn higher returns when the company goes public in the 5th year onward. The odds of failing are always there. But VC firms' strategy is to invest on 5 to 10 high-growth potential companies. Economists call this strategy of VCs the "law of averages" where investors believe that large profits of a few can even out the small loses of many. Any company seeking for capital must ensure that their business is bankable. That is, before approaching a VC firm, they should be confident enough that their business idea is innovative, disruptive and profitable. Like any other investors, venture capitalists want to harvest the fruits of their investments in due time. They're expecting 20% to 40% ROI in a year. Aside from the venture capital, VCs also share their management and technical skills in shaping the direction of the business. Over the years, the venture capital market has become the driver of growth for thousands of startups and small businesses around the world. There is absolutely no shortage of time-management practices and experts out there promising to increase your productivity levels. And, certainly, we all aspire to be more productive, feel more accomplished and ultimately achieve greater success than ever before. Unfortunately, though, simply wanting these things or reading a time-management book by a favorite author is a small part of the equation and will get you only so far. In order to truly become a more productive individual and accomplish more of what matters most, you must minimize distractions, instill new habits and have a great deal of self-discipline. Carl Kruse believes that many of the problems we run into when it comes to maximizing our productivity stem from overcomplicating things -- and those complications usually end up decreasing our productivity. 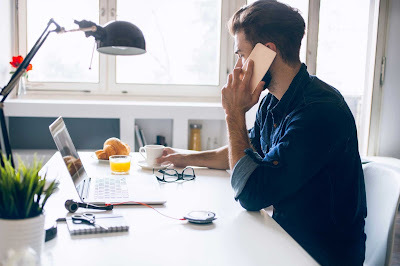 He wants to share with you three things that have worked exceptionally well when it comes to minimizing distractions and drastically elevating productivity levels.